The National Dialogue on Race Day happening later today at Tufts University Center for the Study of Race and Democracy hosted by Prof. Peniel Joseph will focus on three broad themes and questions. In anticipation of the event, we’ve selected a few previous posts from the six years of blogging here that touch on these topics. 50 Years after the March On Washington for Jobs and Freedom: How Far Have we Progressed as a Nation in Achieving Dr. King’s Dream of Multicultural and Multiracial Democracy? Race and Democracy in the 21st Century: What does racial integration, justice, and equality mean in contemporary America and how can we shape and impact this dialogue in our respective communities, nationally and globally? Read up and join the conversation! You can participate lots of ways, by commenting here, by watching the livestream from Tufts (beginning at 7pm ET) or through Twitter at the hashtag #NDRD. Trayvon Martin’s tragic death has inspired nationwide demonstrations and calls for action that have reverberated all the way to the White House. President Obama’s spontaneous and heartfeltwords about the plight of race relations in America touched upon the need for a national conversation about race but expressed skepticism that politicians might effectively lead such an endeavor. Obama is right on this score. It’s time for all citizens to participate in a dialogue on race in America because we all have a stake in our nation’s democratic institutions. Such a day could go a long way toward jump-starting the dialogue on race, democracy and public policy that is desperately needed around the nation, especially (but not only) in poor communities of color. In contrast to previously called for conversations on race (including one launched by the Clinton administration) that bore little tangible fruit, this dialogue should be purposeful and policy-driven in pursuit of an agenda of democratic transformation at the local, state and national levels. 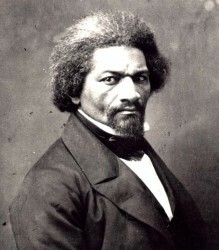 The dialogue would be led by activists, civil rights organizers, policy experts and community leaders for the express purpose of crafting public-policy solutions connected to issues of racial disparities in criminal justice, employment, public schools, housing, health care and overall life chances in America. Fifty summers ago, the heroic period of the civil rights movement inspired a national conversation about race and democracy that engaged citizens of all races and affected virtually every sector of American life. Religious leaders, labor activists, welfare mothers, prisoners and politicians participated in this dialogue, one that included roiling street protests often accompanied by the passage of watershed legislation. The idea for a National Dialogue on Race Day is inspired by the collective activism and action of these citizens, many of whom turned out in droves for the Aug. 28, 1963, March on Washington for Jobs and Freedom. The march united disparate political strands into a mighty and unifying call for racial justice, economic equality and multicultural democracy. The historic event galvanized social, political and cultural awareness of racial injustice and helped lead to substantive public-policy transformations in the form of the Civil Rights Act in 1964 and the Voting Rights Act in 1965. The March on Washington’s approaching 50th anniversary should be a time of national reflection and democratic renewal to assess how far we have actually come. But to continue the conversation, the Center for the Study of Race and Democracy at Tufts University is convening a National Dialogue on Race Day on Sept. 12, and we invite all to participate in local communities across the country. Fifty years after the March on Washington, how far have we progressed as a nation in achieving Martin Luther King Jr.’s dream of multicultural and multiracial democracy? Trayvon Martin, mass incarceration and the public school-to-prison crisis. Race and democracy in the 21st century: What do racial integration, justice and equality mean in contemporary America, and how can we shape this dialogue locally, nationally and globally? Community groups, universities and colleges, civic organizations, churches, synagogues and civil rights activists have natural constituencies to organize single panels or all-day symposiums to which students and surrounding community members would be invited to join in the conversation. Citizens seeking to participate might attend a live local event or simulcast of an event at a different location, stream an event online from their own computers and/or share their thoughts on social media with the hashtag #NDRD. Event organizers would publicize their affiliation with NDRD both on and offline. Ideally, a National Dialogue on Race Day could simultaneously occur in every community across the nation, and even those unable to organize such an event locally could easily participate online. Ella Baker, the founder of the Student Nonviolent Coordinating Committee, famously remarked that “strong people don’t need strong leaders.” Neither the African-American community nor the nation as a whole can afford to wait on politicians to lead a discussion that will cast a strobe light on issues of inequality, racism and injustice. It’s uncomfortable because we’re out of practice — but we need to do it anyway. The aftermath of the Supreme Court’s recent voting-rights and affirmative action decisions, as well as proliferating urban violence, poverty and mass incarceration, make this conversation more necessary now than ever. A deliberate, widespread dialogue among American citizens is critical to push forward the transformation of our democratic institutions. Now is the time to revisit the energy and activism of the March on Washington to revive the goal of racial justice. The same summer as the march, in a national television address to the nation, President John F. Kennedy defined institutional racism as a “moral” issue that reverberated through political institutions. Two months later Martin Luther King Jr., during his historic “I Have a Dream” speech, proclaimed that African Americans had come to the nation’s capital to cash a check that had been marked “insufficient funds.” King refused to believe, in his words, that the bank of American democracy could be bankrupt. Despite evidence to the contrary, many Americans of diverse backgrounds continue to believe in King’s dream of racial equality and economic justice. President Obama’s recent admission that we are not in a “postracial” nation goes a long way toward combating the “colorblind” racism that stubbornly declares racial equality while ignoring growing social, economic and political disparities based on race. But politicians cannot lead this national conversation. We are capable of being the architects of the democracy in which we want to live. This requires confronting racism openly and educating our fellow citizens that merely discussing, recognizing or “seeing” race does not make one a racist. The idea that one does not “see” race should be reserved for the political satire of Stephen Colbert and not be viewed as a serious political perspective. Only by seeing race can we begin to transform public policy and democratic institutions. America is well on its way to becoming a majority-minority nation, but we still too often think and speak about race in binaries. A National Dialogue on Race Day should rightfully include the diverse racial and ethnic panorama that makes up 21st-century America. As we approach the cusp of the 50th anniversary of King’s dream, a national conversation on race and democracy led by activists, scholars, community organizers and active citizens will help us reimagine American democracy while confronting the social, political and racial injustices that threaten King’s dream and our own. ~ Guest blogger Peniel E. Joseph is founding director of the Center for the Study of Race and Democracy (follow the Center on Twitter). and a professor of history at Tufts University. Follow Professor Joseph on Twitter. This post originally appeared on The Root. 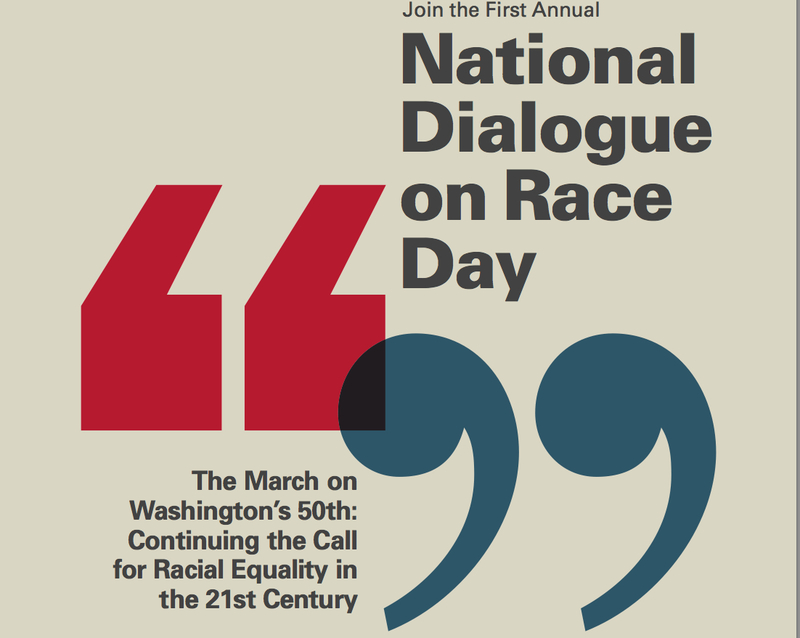 ~ Racism Review is pleased to be a participant in the National Dialogue on Race Day. Does Cultural Diversity Promote Economic Growth? Diversity has sometimes been considered as an abstract principle, divorced from macro-economic trends and global realities. Research by Quamrul Ashraf and Oded Galor of Brown University, suggests otherwise. In a paper released by the National Bureau of Economic Research in 2011, Ashraf and Galor crystallize their findings on the interplay between cultural assimilation and cultural diffusion in relation to economic development. They theorize that pre-industrial societies in agricultural stages of development may have benefitted from geographical isolation, but the lack of cultural diversity had a negative impact on the adaption to a new technological paradigm and income per capita in the course of industrialization. This “Great Divergence” in the developmental paths of nations has occurred since the Industrial Revolution. Ashraf and Galor indicate that cultural assimilation enhances the accumulation of society-specific human capital, reducing diversity through standardization of sociocultural traits. Cultural diffusion, by contrast, promotes greater cultural fluidity and flexibility that expands knowledge allowing greater adaption to new technological paradigms. One of the prominent questions long debated by scholars is why China failed to industrialize at the time of the Industrial Revolution and suffered from “economic retardation,” a question raised by Joseph Chai in Chapter VI of his new book An Economic History of Modern China. In their paper, Ashraf and Galor outline the early benefits of China’s geographical isolation as the “Middle Kingdom” or the center of civilization as evidence of the benefits of cultural assimilation in the agricultural stage of development. They also refer to the state-imposed isolation throughout the Ming (1368-1644) and Ching eras (1644-1911) that caused China to remain impervious to external influences. Although Ashraf and Galor do not expand upon the further ramifications of their theory in this example, the absence of cultural diffusion was clearly a major factor in China’s late development in the sciences and technology. What does all this mean for diversity practitioners in the United States today? Clearly, the important benefits of cultural diversity need to be understood in broader, global, and historic terms. As Alvin Evans and I argue in Bridging the Diversity Divide: Globalization and Reciprocal Empowerment in in Higher Education, globalization is a catalyst for diversity change, representing an urgent mandate that can no longer be ignored. With the erosion of barriers of time and place, rapid evolution of technological modes of communication, increasing diversity of the American population, rising demands from diverse consumers, and importance of talent as a differentiator in organizational performance, organizations now must focus upon creation of inclusive talent management practices. In our forthcoming book, The New Talent Frontier: Integrating HR and Diversity Strategy (Stylus, 2013), we examine this global imperative and the emergence of common themes in diversity transformation across all sectors including private corporations, not-for-profits, and institutions of higher education. It’s time for diversity’s skeptics and naysayers to get over their hang-ups. The evidence is mounting that geographical openness and cultural diversity and tolerance are not by-products but key drivers of economic progress. . . . Indeed, one might even go so far as to suggest that they provide the motive force of intellectual, technological, and artistic evolution. American schools are failing so many students, especially people of color as shown in the documentary Waiting for Superman Latinos comprise 14 percent of the U.S. populations,asts put Latinos at 25 percent of the U.S. population by 2050. America is an increasingly multicultural society. How well America welcomes people who are from distinct racial, ethnic, religious, and cultural backgrounds will in large part determine just how democratic America remains. If Americans fail to accept the largest ethnic and racial group in the country then not only is it critical to ask how well America is living up to its ideals, but most importantly, the issue becomes, as political scientist García Bedolla states: “whether our democracy is creating a more just society.” This is an important point because democracy does not necessarily equal justice, so we may have a democratic society that is far from just for many, particularly for minorities. Some 41% of Hispanic adults age 20 and older in the United States do not have a regular high school diploma, compared with 23% of black adults and 14% of white adults. Improving educational levels for Latinos are important for three main reasons: (1) the strength of our democracy depends on a well-educated and committed citizenry. Because Latinos are an increasing part of society, it is important to our country that Latinos be full and equal members of it. (2) The ability to be able to live and achieve the most you can in your life begins with being able to pursue the training and education needed to do so. Personal fulfillment and economic security are critically connected to educational access. (3) The benefits of increasing educational levels among Latinos are not only important for you but for future generations as well. Education is key in improving the quality of life in Latino communities and for society. Education is key to improving the quality of life in Latino communities for generations. 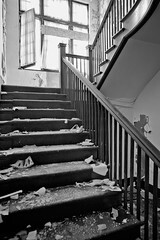 Educational opportunities for successive generations only works because others have paved the way. For example, in Passing the Torch, Attewell and Lavin study the impact of higher education on the next generation of “non-traditional” students, (mostly poor and minority) who attended the eighteen-campus City University of New York, which guaranteed enrollment to New York City high school graduates beginning in the 1970s. Attewell and Lavin convincingly document that the “democratization of public higher education….is the first step up the ladder of social mobility, and…generates an upward mobility” for the children of college educated mothers. Education is a vital community resource for people of color.